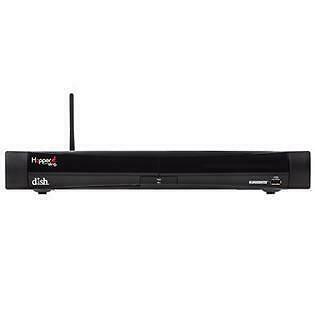 The DISH Network HOPPER Home DVR System is a 2 TB HD DVR, which features three satellite tuners to deliver complete DVR functionality to all TV's at home via a thin client receiver. It has a built-in Sling adapter and is equipped with the SRS TruVolume technology for minimal volume fluctuations. You can watch Dish channels on your smartphone or tablet that has an Internet connection, in high-definition clarity with the Dish Anywhere technology. Exactly as described, but adjustment to dish was required. This unit performs perfectly, but it was not plug and play. Recording up to 16 shows at a time means you don't miss any shows. It also records ALL the prime time shows automatically on ABC, NBC, CBS and FOX. The Hopper 3 requires a different receiver module on the dish. Technician came out and set it up in about 1 hour (most time spent waiting for software to load). No charge. Best way to record and enjoy while on a time restrained lifestyle. I bought this hopper to replace the one I lost. Was very ill.. explained that to dish. Told them I had one and am sending this to them as replacement. Hope it goes well. Call me if you have any ideas about my decision . Bob2067190885. The reciever was shipped very timely and wa easy to set up, am using it in our RV and dish set it up so we can turn on and off the service as 2nd acoount and is working very well. Received earlier than promised. New, in the box. I have not had an opportunity to hook it up yet but I am happy with what I have received. INSIGNIA NS-DXA1-APT DIGITAL TO ANALOG CONVERTER BOX DTV TUNER. NEW.